S6 edge Battery. This battery is ideal for people who use their phones extensively as well as serve well as a backup for your existence battery. The images are for Illustration Purpose only, product may vary in the code or date of manufacture . Samsung S6 EDGE Battery. Samsung S6 EDGE. FREE Tools. 8 PIECES TOOLS KIT. Samsung S6 EDGE PLUS Battery. Samsung S6 EDGE PLUS. Premium Quality. The images are for Illustration Purpose only, product may vary in the date of manufacture. 1 X Battery. Compatible Model: SAMSUNG GALAXY S6 EDGE PLUS. Capacity: 3000 mAh. SAMSUNG BATTERY - EB-BG928ABE. Samsung S6 EDGE PLUS Battery. Samsung S6 EDGE PLUS. FREE Tools. 8 PIECES TOOLS KIT. Compatibility : Galaxy G925 S6 Edge (not S6 or S6 Edge Plus). Our pricing of this product is such because it is a genuine original product. Beware of fake imitation copies being sold. Only accept the original product. 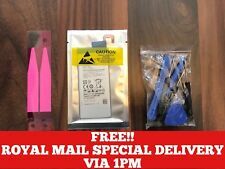 100% Genuine Samsung Galaxy S6 Edge SM-G925F Battery EB-BG925ABE Free Tools. S6 edge Battery. This battery is ideal for people who use their phones extensively as well as serve well as a backup for your existence battery. Samsung A5 (2015) A5 500 Battery. Capacity: 2300 mAh. Samsung A5 2015/A500 Battery. Samsung A5 2015/A500. Premium Quality. Compatible Model: SAMSUNG GALAXY S6 EDGE PLUS SM-G928. Capacity: 3000 mAh. SAMSUNG EB-BG928ABE BATTERY. Samsung Galaxy S6 EDGE PLUS G928. 100% GENUINE Samsung Original Battery. Battery model number: EB-BG928ABE. COMPATIBILITY - This battery is compatible with. Compatible Model: FOR SAMSUNG GALAXY S6 EDGE PLUS SM-G928. SAMSUNG BATTERY EB-BG928ABE. Compatible with Samsung Galaxy S6 Edge Plus (G928F) devices. Capacity: 3000mAh. Original Samsung EB-BG928ABE Battery for Galaxy S6 Edge Plus. 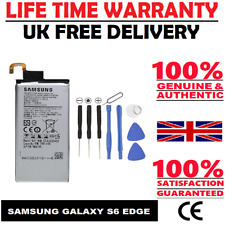 This battery is a used item that was taken from a Samsung Galaxy S6 Edge handset. Samsung S6 Edge Plus Battery. Samsung S6 Edge Plus battery. FREE Tools. Premium Quality. FOR SAMSUNG S6 EDGE. GENUINE LI-ION BATTERY. FOR SAMSUNG S6 EDGE PLUS. GENUINE LI-ION BATTERY. Samsung S6 EDGE Battery. Samsung S6 EDGE. TECHNICAL WARNING. Compatible with. This battery is ideal for people who use their phones extensively as well as serve well as a backup for your existence battery. You heard it right. Samsung Battery EB-BA500ABE 2300mAh 3.8v 8.74Wh. For Samsung Galaxy A5 A500F. 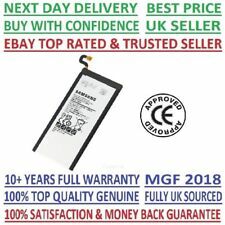 Knowing you are purchasing a genuine battery gives you that ease of mind knowing you are getting an original battery that was designed especially for that phone. Compatible Model: SAMSUNG GALAXY S6 EDGE SM-G925. 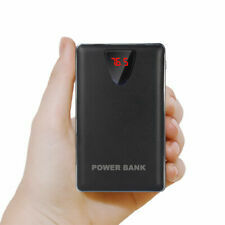 Capacity: 2600 mAh. SAMSUNG EB-BG925ABE BATTERY. 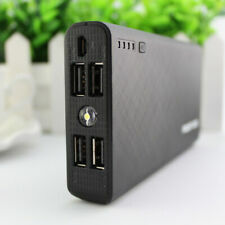 Capacity: 50000mAh. 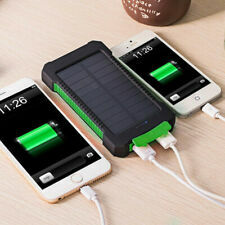 1 x 50000mah Solar Power Bank. High output LED flashlight fucntion. Input: 5V/1.0A (Max). Compatibility : Galaxy G925 S6 Edge Plus (not S6 or S6 Edge). Our pricing of this product is such because it is a genuine original product. Beware of fake imitation copies being sold. Only accept the original product. 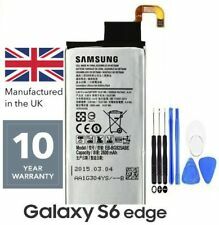 Samsung S6 EDGE Battery. Samsung S6 EDGE. Premium Quality. SAMSUNG s6 edge 2600mAh. Capacity: 2600mAh. Compatible with Samsung Galaxy s6 edge. GENUINE HIGH CAPACITY. 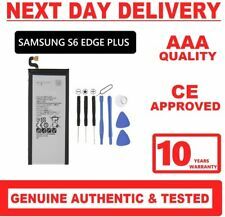 Genuine Original Samsung Galaxy S6 EDGE PLUS G928 Battery EB-BG928ABE . Condition is Seller refurbished. Dispatched with Royal Mail 1st Class Large Letter. Samsung Galaxy s6 edge plus G928F. • 100% original. • Just replace broken part & make your phone working. For the fastest Response. Invoice will be provided on request. G Galaxy S6 EDGE. COMPATIBILITY - This battery is compatible with SAMSUNG GALAXY S6 EDGE SM-G925. 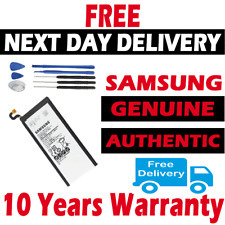 100% GENUINE SAMSUNG Original Battery. Battery model number: EB-BG925ABE. CHANNEL ISLANDS AND ISLE OF MAN. Samsung S6 Edge Plus Battery. Samsung S6 Edge Plus battery. Premium Quality. Battery Chemistry:EB-BG925ABE. Battery Capacity: 2600mAh. 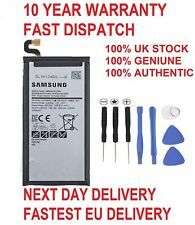 SAMSUNG S6 Edge Original Battery EB-BG925ABE 2600mAh Good Quality Local Seller !